Luxury items are scavenged from houses, buildings, stores, etc. and are stored at the Shelter as a way to offset morale losses. They are creature comforts and distractions, items that make allies forget about the horrors of survival. All luxury items or morale bonuses contribute to a “stockpile” of positive morale that can balance any negative mood going around. Days where morale turns up negative can be offset by any “surplus” of good will from the player’s actions or collection of luxury items. You can think of it like this – while having food should be enough to generate good will, it’s not – people expect to eat, it’s an imperative. As gross as it sounds, people don’t need to bathe to live, but after a few days of hiking to the nearest towns and being covered in zombie gore, a bar of soap is going to be more valuable to your allies than gold. However low the morale is at the Shelter that day, just having the small luxuries we’re used to can put things in perspective for the survivors – all might be lost, but at least you can still grab a cup of coffee and a hot shower, and that’s one less thing to worry about. Luxury items give people a way to forget about the horrors outside or their losses, so as long as they have toilet paper, a paperback, and a cigarette, their stress is kept to a minimum and the illusion of society is preserved for another day. One great thing about luxury items is that if you have enough of them, you can take risks or make decisions that otherwise might cause people to get upset. In a way, they can “buy off” the negative reactions that people might have if someone you have a problem with “met an untimely end” in the field. As long as people have stuff, they generally placated and less likely to have a problem with your leadership. Of course, like all things, luxury items are going to take effort and risk to procure, and unlike food, they do not grow on trees. There are many types of luxury items with various levels of worth. All values should be updated to reflect the changes in the Reanimated update. Can be used to shoot some baskets in the gym or just dribbled to relieve stress. A clean blanket. There's never a drop in demand for these. Candy Ship, a board game that spawned the phrase, "You ate my Candy Ship!" Note: Pieces should not be eaten or placed in mouth. This takes care of the flies, mosquitoes, roaches and other pests that are attracted to the shelter. Wax candles. These will provide light even when the power's out. A piece of mass-produced candy. It's a treat, but not real food. A collection of CDs. None of them contain any songs about twerking or cranking anything. Music helps people think about better times. A can of chewing tobacco. Not many people chew, but for those that do or can't find cigarettes, this will help get them through the day. In the apocalypse, these are gold. A lot of people have taken the habit up as of late. Fresh clothes to replace the dirty, worn, or bloody ones. To some people, this is worth risking their life for. To others, it IS life. One of the more reliable birth control methods around nowadays, condoms have been in use for centuries. Condoms have a host of other practical uses that are not related to birth control. A clean set of spoons, chef's knives, measuring cups, and other tools used in preparing food. A paperback detective novel. This one is called, "Sleepy Angels Always Ring Dead". There are untold numbers of scents people want to wash out of their clothes after a day spent scavenging. It's one of the little things that makes a big difference. A paperback fantasy novel. This one is called, "Barry Dragonhead and the Magical Crutch". A paperback novel. This one is called, "The George Washington Carver Code". While this is practical to have around, it is useless without batteries and doesn't light a room like a candle. A kit containing scissors, razors, combs, and other items used to keep hair trim and neat. For those that know how to play, this is a comfort to have around. Some people might relax just listening to someone play. This is a rechargeable solar camping lantern. This can provide a lot more light than candles or flashlights, but it needs to be charged. This is a magazine from a month before the outbreak. It reminds people of a previous life. One of the last ones ever printed. Some people might find a few answers about the cause of all this inside here, but mostly it's just something to read or wipe with. Notebooks have become more popular since computers stopped being an option. Some people have taken to writing journals or drawing to help them cope with their situations. There's always a demand for these to power personal electronics, and they always need to be replaced. A set of several colors of watercolor paint and a paintbrush. A clean pillow. There is always a demand for these. Nowadays, this is one of the only multiplayer experiences left. Also has a single player mode. Read it for the articles, or tell people that's what you want it for. The XoDS portable game system. It can be recharged, provided there's electricity. Plays any XoDS compatible game - might be worth picking up a few games for it. Water purification tablets. Having these around alleviates any fear that the drinking water contains harmful bacteria. A book of word and number puzzles. A decent distraction for people with nothing to do. Dragons & Yet More Dragons: A Fantasy Role-Playing Game. A pen and paper RPG for multiple people. A paperback romance novel. This one is called, "He Brought Me Fudge". While men might think these are useless, their utility to women is indisputable. And to the squeamish, they also work as bandages in a pinch, covering over major wounds. A paperback science fiction novel. This one is called, "Galaxy Wars". Seems to based on the good trilogy. Allows for clothes to be mended and fabricated. Shampoo, like soap, helps keep people feeling clean and refreshed. Reusable utensils so that people don't have to eat with their hands. Could also be melted down for other uses. Everyone feels and smells a lot better with this. Practically worthless as a source of nutrition, soda has a few calories and is quite refreshing after a day spent scavenging. A teddy bear is just comforting to some people, used as a pillow by others. Used for playing games and stress relief. Can be used to play tennis or air guitar. Not very good for self-defense. Fuel for the mind or a nice, warm fire. Thread can be used to stitch up cloth or, in absolute emergencies, wounds. This may be one of the ultimate luxury items. People don't understand just how much they need it until it's gone. Most people still want to keep up their hygienic routines, so these should be kept in stock as much as possible. Toothpaste will keep mouths clean and healthy, which promotes better hygiene (and breath) at the shelter. Used for tourniquets, scrap cloth, blankets, pillows, drying off - what can't a towel do? 1 Beer , Wine, Whiskey, Vitamins, Snack Cakes and Chocolate Bars have additional food values listed. Upon testing it is clear that the food value is not used. This page was last edited on 9 March 2019, at 14:24. Dead State contents and materials are trademarks and copyrights of DoubleBear Productions and its licensors. All rights reserved. 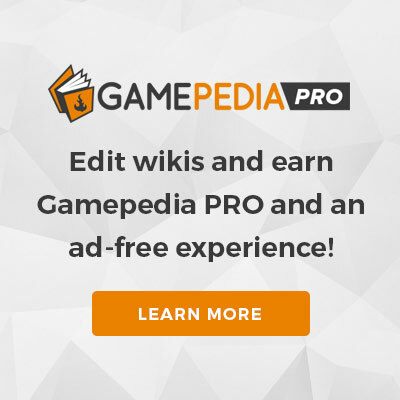 This site is a part of Wikia, Inc. and is not affiliated with DoubleBeer Productions.